The European Parliament on Thursday passed a resolution declaring Islamic State violence against Christians, Yazidis, and other religious minorities genocide and punishable under the 1948 convention on genocide. By show of hands in the 751-member parliament, the elected representatives of the 28-nation EU became the largest international body to subject to unified condemnation and legal punishment the two-year reign of terror by Islamic State (ISIS or Daesh). In strikingly forceful and detailed language, the resolution condemns the terrorist organization’s “deliberate targeting” of religious groups. It cites ISIS driving more than 150,000 Christians from Nineveh Plains on the night of Aug. 6, 2014, and it calls attention to the ISIS kidnapping of more than 200 Assyrian Christians from Syria’s Khabur River region in February 2015. The resolution also highlights the killing of an estimated 5,000 Yazidis in Iraq, and the enslavement and trafficking of at least 2,000 Yazidi women—all by ISIS. The EU action came eight days after the Council of Europe’s parliamentary assembly—a nonbinding human rights body that’s nevertheless larger than the EU with 47 members states—overwhelmingly passed a similar resolution, 117-1. The European genocide rulings put added—and human rights advocates say, needed—pressure on the Obama administration and Congress to do the same. Last October, the world’s largest organization of genocide experts, the International Association of Genocide Scholars, called on Congress to declare the crimes committed by Islamic State in Iraq and Syria genocide. But U.S. officials have been notably reluctant to act. In December, journalist Michael Isikoff reported the administration was preparing to declare ISIS attacks on Yazidis genocide but would exclude Christians and others from the declaration. That prompted a group of 30 leading U.S. clergy and religious scholars to petition Secretary of State John Kerry to include both Yazidis and Christians in any declaration. The group’s letter and formal petition to Kerry have gone unanswered. 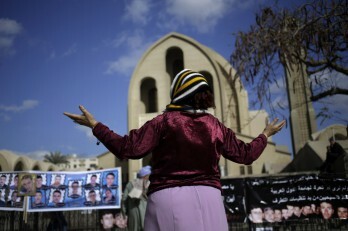 At the same time, a largely unnoticed attachment to the omnibus spending bill passed by Congress in mid-December pressures the administration further: It gives the administration 90 days to report to lawmakers on whether violence against Middle East Christians “constitutes mass atrocities or genocide.” That report is due on Capitol Hill on March 16, according to Elijah Brown, executive vice president of the 21st Century Wilberforce Initiative. Nina Shea, senior fellow at the Hudson Institute, told me this is a debate the United States must have. “If nothing else is gained, the omnibus mandate will force a political debate on an issue of great moral urgency,” she said. The term genocide arose out of the Holocaust and was first used formally at the Nuremberg tribunal following World War II. The 1948 Convention on the Prevention and Punishment of the Crime of Genocide, ratified by 147 nations to date, was not invoked until 1998, over the massacre of Hutus and Tutsis in Rwanda. It was invoked a second time against Serbia over the mass killings of Bosnians. With it, leading Serbian commanders have been tried, convicted, and are serving prison sentences for mass killings that left 100,000 mostly Bosnians dead. Prosecutions in international courts are notably slow. While some criticize the pace of legal proceedings and question whether a genocide designation has meaningful weight on the ground, legal advocates have long termed genocide the “crime of all crimes,” above wars and even massacres. What brought European leaders together? Differing political factions prepared their own draft resolutions, but all contained clear language citing atrocities against Christians and Yazidis. Members of the European Parliament consulted specialists on Syria and Iraq to craft one unifying resolution—and an extensive question-and-answer document prepared by ADF International provided evidence and data on the destruction of Christian communities across the region. “It was high time that the EU responded to the undeniable evidence of this genocide,” said Sophia Kuby, director of EU advocacy for ADF International.